This document provides suggestions and insights into how to translate the ideas of the Paladin class from the source material into Pathfinder Fate Accelerated. "Through a select, worthy few shines the power of the divine. Called paladins, these noble souls dedicate their swords and lives to the battle against evil. Knights, crusaders, and law-bringers, paladins seek not just to spread divine justice but to embody the teachings of the virtuous deities they serve. In pursuit of their lofty goals, they adhere to ironclad laws of morality and discipline. As reward for their righteousness, these holy champions are blessed with boons to aid them in their quests: powers to banish evil, heal the innocent, and inspire the faithful. Although their convictions might lead them into conflict with the very souls they would save, paladins weather endless challenges of faith and dark temptations, risking their lives to do right and fighting to bring about a brighter future." The only two Archetypes a paladin has to concern themselves with are Combatives and Divine. Most starting paladins looking to match the source material should consider the Pious set of Starting Archetypes, plus one or two combat related Stunts to shore up their "warrior" facet. Starting paladins who prefer to accentuate their ability to fight should consider the Militant set of Starting Archetypes, plus one or two divine related Stunts to shore up their "holy" facet. Either way, a paladin's Archetype increase from their first major milestone should usually be applied to Divine to reinforce the concept. It's also possible to base a paladin on Roguish or Focused instead of Combative, but it would put some pressure on Stunt choices and require some patience to pay off with the passing of milestones. Paladins of different gods are putatively different, but in practice most paladins are more alike than they are disimilar. Not to cast aspersions but few paladins are particularly Clever, and even fewer are Sneaky. Many paladins are Careful, and can also be quite Flashy when their ire is up and the smiting ensues. But some trend more towards Forceful, leaving off on the sermonizing and litany spouting in favor of letting their relentless assault speak for itself. And some paladins are at least a little Quick, but no more so than is typical among those who live by the blade. What Kind Of Paladin, Exactly? What deity does my paladin serve? Does my paladin feel that they are only responsible for their own actions and have the ability to coexist with others who do not share their views, or do they hold those around them to the same code of conduct the paladin adheres to and persecute those who do not follow it? Does my paladin focus more on their divine or their martial abilities? Does my paladin have a steed or a divine weapon, or something else altogether, or nothing of the sort? The first question is probably the most important for framing the nature of your character. You can use the choice of patron to guide your decisions about your character's Aspects and Stunts, to inform your portrayal, the nature of your character's interactions with others, and so on. The source material offers paladins as melee combat focused characters who are blessed with divine gifts that aid them in standing against the evils of the world. Self-healing, armor, and plenty of hit points allows paladins to be effective tanks. In addition to being respectable front line combatants, Paladins can become quite good healers and status effect nullifiers. Additionally, some knightly paladins ride powerful steeds, while others get a fancy divinely empowered weapon. The downside of course is the infamous paladin code of conduct, the morass that is D&D alignment, and the propensity for different GM's and players to interpret moral and ethical quandries differently. Pathfinder Fate Accelerated joyfully dispenses with the alignment concept altogether; "goodness" and "evilness" and "lawfulness" and etc. can be a thing, but it is based upon interpretation of Aspects and deeds. If you want to play a "lawful good" character as per the source material, so be it. Pick your character's High Concept, Trouble, and Aspects appropriately to further that ideal and then portray your character accordingly. But there's no mechanical impact other than what is ordinarily available in Fate Accelerated. Also, the source material limits divinely inspired warriors to lawful good and lawful evil alignments (paladins and anti-paladins). If you want to play a divinely inspired character of another alignment, that necessitates whole other classes such as the Inquisitor or the more recent Warpriest. In Pathfinder Fate Accelerated however, "paladin" is just a concept...a label. If you want to make a "chaotic good" divinely inspired warrior dedicated to the service of some deity, and call that character a paladin, go for it. The source material also does little to differentiate between the paladins of different gods, they are locked into rather vanilla sameness by the class and level structure. Thus in the source material paladins are a fairly homogeneous lot, baring any "archetype" (as defined in the Pathfinder rule books), prestige class, or similar shenanigans. But in Pathfinder Fate Accelerated you are not obligated to limit yourself to arbitrary restrictions rooted in sacred cows or gamist design that puts mechanics before concept. Feel free to personalize your paladin to have abilities particularly suited to their deity's focus and fluff; this will not only make your character more distinctive and memorable, it will also make the character's choice of deity matter more to the story. The only limiter is whether the group or GM wants to maintain the arbitrary restrictions of the source material or not. As a player interested in expressing their creativity you should first check with your GM to determine what they will allow. If your group is allowing the concept of a paladin as a divinely empowered warrior dedicated to any deity rather than just the narrow "lawful good or evil" definition enforced in the source material, the opportunity for character differentiation expands considerably. Radje is a dour and aggressive examplar of the war god Gorum. Eager for battle, for the opportunity to repeatedly test himself in the crucible of combat, he stomps through the world like a living seige weapon, a lumbering war machine that walks upright on two legs. Radje shows his dedication to the ideals of his bloodthirsty god in the only way that matters; deed by bloody deed. Some paladins are portrayed as being inwardly focused, responsible for their own deeds and conduct. This sort of paladin can generally get along with others and cooperate towards a common goal with people of different viewpoints, at least to some extent. This is conducive to party dynamics and getting things done. However, it can also be quite dull. Other paladins are portrayed as being outwardly focused, intent on imposing the worship of their religion and the tenets of their patron upon the world. This sort of paladin often has a difficult time working and playing well with others, and often finds themselves embroiled in some kind of strife due to their evangelical overtures and intolerance for other beliefs. This can make for some great drama, but on the other hand it can also get quite stale and annoying. Regardless of where your paladin is at on that spectrum, it should guide your choice of High Concept and Trouble. It will also indicate if you plan to portray the character in an antagonistic or cooperative manner relative to other player characters. Some paladins favor the warrior arts, while others favor deific pursuits. Obviously, where your paladin sits on this spectrum will guide your decision on how to assign your Archetype bonuses. For instance, Bordos follows the Pious set of Starting Archetypes, while Mirriam goes the Militant route. Bordos is a stolid, stalwart, reliable, dependable, honor-bound human unusually dedicated to the service of the Dwarven god of the forge, Torag. Human paladins of Torag are "essentially unheard of" but Bordos is the exception that proves the rule, and in truth despite his large and tall frame he seems more Dwarf than man in word and deed. Determined to bring honor to his calling, Bordos finds further favor from Torag with every passing year and may one day be counted among the great champions of his faith. Mirriam is a stern and no-nonsense woman dedicated to the service of Sarenrae, the Dawnflower. Though kind to women and children, Mirriam is not overly fond of men and is rather standoffish. She is bold, zealous, and willing to intimidate or threaten those obstructing her holy mission. Mirriam seeks out those who have committed evils, and delivers final mercy to any who cannot be redeemed. Some paladins have special steeds, and others get holy weapons. If you want either you'll need to allocate one or more Stunt slots to cover such abilities. If not, you can use those slots for other things. Paladin characters might find the following Stunt categories of interest: Deific, Warrior, Durability. The following Stunts are offered as samples that might be relevant for some paladins. However, the best Stunts are those that are tailor made to fit your concept, so don't hesitate to come up with your own or work with your GM to define something that is "just right" for your character. Paladins that are granted abilities by their patrons can lose access to those abilities if they do something unworthy of their faith; thus such Stunts typically include language to that effect. This is left to the GM's discretion, but it isn't intended to create antagonistic situations. 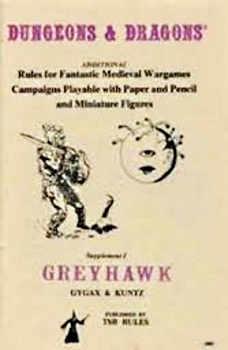 Ultimately a player should have a large measure of control over their character's story; any failings of faith should be regarded as a roleplaying opportunity. See the Stunt options document for ideas on how to do this. Paladins are invested with divine power by their patron deities, though the nature of such favor varies from deity to deity, or even from individual to individual. Detect Evil: Because I am sensitive to ethical and moral propensities, I am able to sense strong concentrations of immorality and evilness in individuals, objects, and areas from six (6) zones away even if the source in not detectable to my other senses. Additionally, I gain +2 to notice relevant concentrations of evil while Focused. Destroy Undead: Because I am particularly good at destroying lesser undead, while Flashily Divine I may overcome to destroy an Undead mook in my zone or an adjacent zone; the difficulty is equal to the number of hits the mook has remaining. This does work on mobs of nameless Undead mooks, but it does not work on significant NPC Undead that have consequences. Divine Aegis: Because my patron deity protects me I may use Divine to defend against non-Divine magical and unusual attacks without needing to first create an advantage to invoke, unless I have recently done something unworthy of my faith. Favored Follower: Because I am favored by my patron deity, once per scene when I spend a fate point to get a reroll I may proceed as if I had rolled +2 on the dice instead of rolling a second time. I may not use this ability if I have recently done something unworthy of my faith. Fervent Prayer: Because my faith is strong, I am sometimes especially blessed by my god. I may spend a Fate point to gain +2 Divine on one (1) action and pray for blessings appropriate to that level of Divine capability. I may not use this ability if I have recently done something unworthy of my faith. Shield of Faith: Because I am favored by my patron deity, I may add my Divine capability as a bonus to defend against indirect attacks such as poisons and strange abilities and magic, unless I have recently done something unworthy of my faith. Paladins are martially capable, able to serve as defenders of their faith and the faithful. Some rely purely on skill, while others benefit from blessings that aid them in battle. Canny Guard: Because of my skill and experience as a warrior it is difficult to catch me off guard. When I am defending against physical attacks and tie, my opponent does not get a boost. Combative Aegis: Because I have developed my defensive form to a high degree of skill, when I am Carefully Combative and appropriately equipped, if someone else in my zone is physically attacked I may defend on their behalf. However I take any shifts of damage that get past my defenses, rather than the intended target. Divine Weapon (-2): Because I am favored by my patron deity, I have been graced with a divinely empowered weapon. If I have recently done something unworthy of my faith, the weapon loses its special abilities until I have atoned. See Special Items for details. This item requires Divine +2 or better to use. Forcefully Aggressive: Because I am so physically powerful, I get +1 when I am Forceful and attack. Improved Disarm: Because I like to disarm others, I get +1 when I am Quick and attempt to create advantage to attach the situational Aspect Disarmed to other people who weild weapons. Indomitable: Because I refuse to give in and I always vigorously protect myself, I get +1 when I am Forceful and defend if I am aware that I am in danger. Making It Count: Because I am able to make my attacks really matter, on an attack that succeeds with style I may spend a fate point to prevent the target from checking a stress box to reduce the stress of the attack. The target may still take consequences. Powerful Attack: Because I am so skilled at delivering forceful attacks, I gain +2 when I am Forcefully Combative and attack while armed with a weapon. Push Beyond The Edge: Because I fight to the bitter end no matter what the cost, at any time as a non action if my Severe consequence is currently clear I may choose to either worsen my Moderate consequence (if any) to a Severe consequence or take a new Severe consequence Pushed Myself Too Far to clear my Mild Consequences and all my Stress boxes. Smite The Unworthy: Because I am favored by my patron deity, when I am being Combative I may add my Divine capability to attack opponents who I know to be beyond redemption, unless I have recently done something unworthy of my faith. Weapon Mastery (-3): Because I have spent many years mastering a type of weapon, I gain +1 to Combatives when I attack, defend, create advantage, or overcome while using any weapon of that type. Paladins often have animal companions as mounts; see the Stunt options document for details on how to incorporate companions into your character using Stunts.